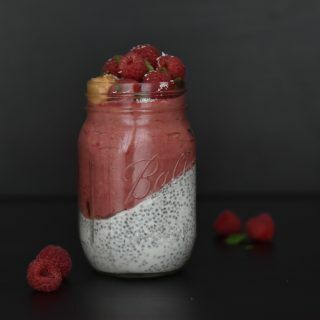 Each month I’m keeping you posted about all new food releases. If there are any cool products launched that I think you should know of, I’m posting them on this page. 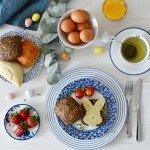 This month I’m not only sharing the food news of April with you, but also some cool food products for Easter. And you can even win one of the new products! 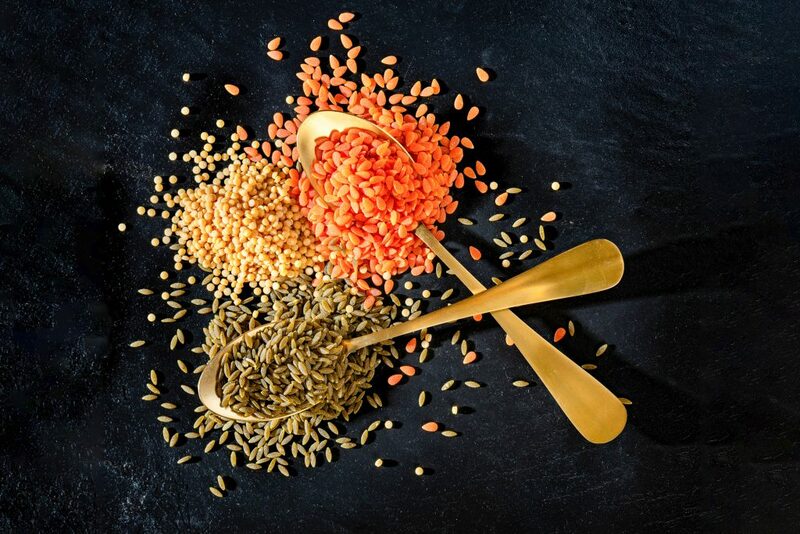 Click here to read last month’s Food News or continue to read for the food news of Easter and April 2019. This Easter you’ll never have to be short of Easter eggs. You can easily get them delivered to your door by Deliveroo! 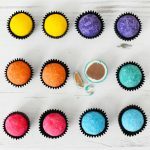 From now on you can order a box of 23 or a box of 50 chocolate Easter eggs from Jamin with Deliveroo in Amsterdam, Rotterdam, Utrecht, Breda, Eindhoven, Leiden, The Hague and my hometown Tilburg. They also have 4 sizes of bags filled with Easter eggs that you can order with Jamin and Deliveroo of which the biggest weighs 1000 grams! That’s a kilogram of chocolate eggs! I went for the box with 50 eggs because I still wanted to fit in my jeans and because with that box you get to taste all the flavors that Jamin has, from pina colada to cappuccino. Eat Natural is one of my favorite granola brands, so I was quite exited to hear that they’ve released two new products. The Low in Sugar Super Granola and the Ancient Grains for Breakfast granola are both free of refined sugar and suitable for vegans. The Ancient Grains granola is also gluten-free. 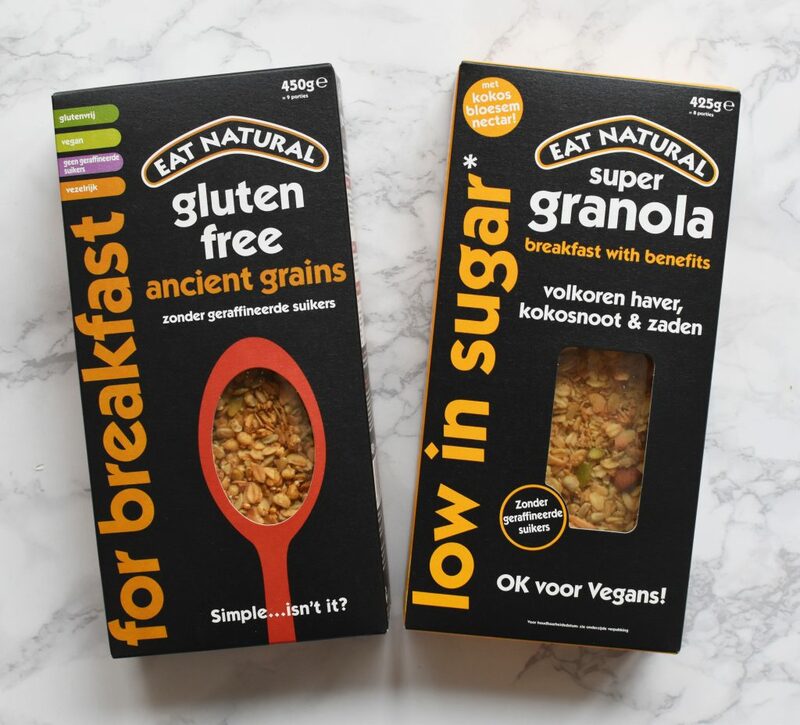 The Low in Sugar granola is exclusively available at Albert Heijn and the Ancient Grains granola is already available at Albert Heijn but will also be available at other supermarkets in the Netherlands. Kaas.nl has created a cheese platter especially for Easter. 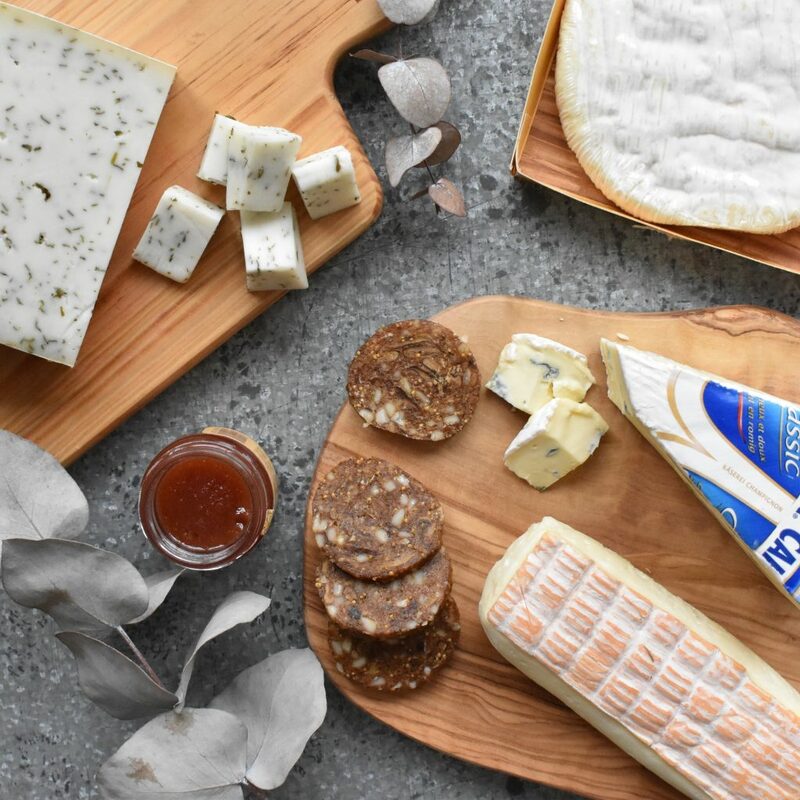 The Easter box contains 5 cheeses, a quince jam, fig-almond bread and a wooden cheese board. There are two Dutch cheeses in the box; an extra mature cheese and a goat cheese with fine herbs. The other cheeses are a Cambozola, Brin de Paille from Normandy and Le Vieux Pane. You can order your Easter Cheese Platter here. The new dried fruit snacks from 5th Season make it very easy to take a healthy snack with you. 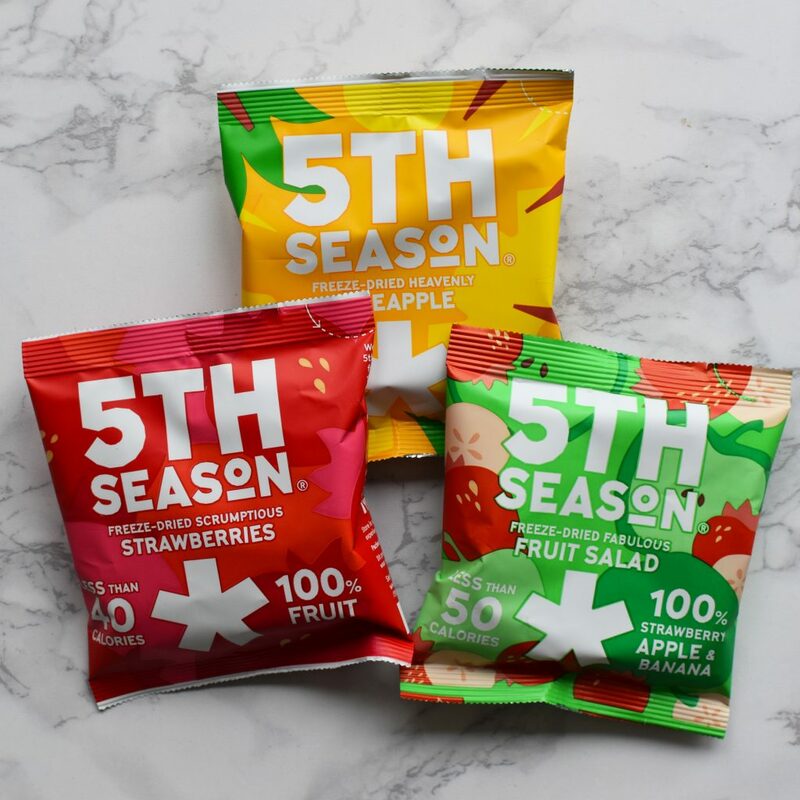 5th Season has released 3 flavors of dried fruit bags; strawberries, pineapple and fruit salad. Each bag contains 100% fruit, no added sugar and only 60 calories or less. I love it as a healthy snack at work but you can also add it to your granola and/or yoghurt. Each bag has the equivalent of 100 grams of fruit and the snacks are gluten-free. 5th Season Fruit is available at Crisp, Shell gas stations and some Jumbo supermarkets and Kruidvat shops. 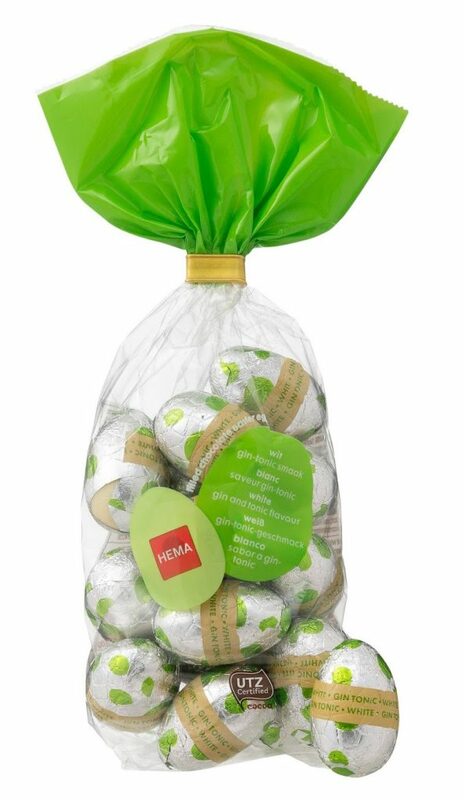 Last year HEMA came up with new original easter egg flavors, like tompouce and disco-dip. And this year they’ve surprised us all with 3 more new flavors. One is caramel-praline, a creamy chocolate egg with sweet caramel flavor. The other is a typical Dutch flavor: stroopwafel. After the other typical Dutch flavors from last year, I think the ‘stroopwafel paaseitjes’ make a great addition to the family. And the 3rd flavor has got to be my favorite: Gin Tonic! I think it’s so cool that HEMA invented Gin Tonic Chocolate Easter Eggs! It’s not the only gin product that they’ve launched by the way, they also have Gin-Lemon meringues! These and many more Easter food products are for sale at all HEMA shops in the Netherlands. QIQO is a new product that you can use to make a warm drink. It’s a powder made from mate and guarana that you buy in small bags and add to hot water. It has a fruity and herbal flavor. It’s made with natural ingredients only and doesn’t contain any sugar. It gives you a boost like coffee without any sugars. 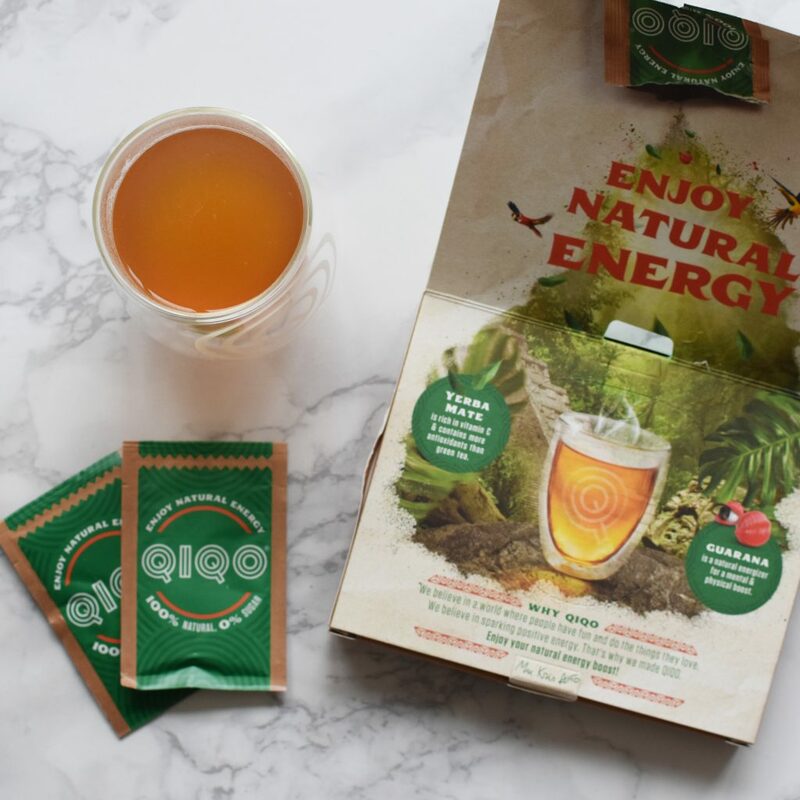 You can now order a QIQO tasting package for only €1 and you can win a QIQO package with 14 sachets for free! I can give away 5 packages in total. You can join on my Facebook page or on this page by signing up to the newsletter below and to tell me in a comment why you would like to win. 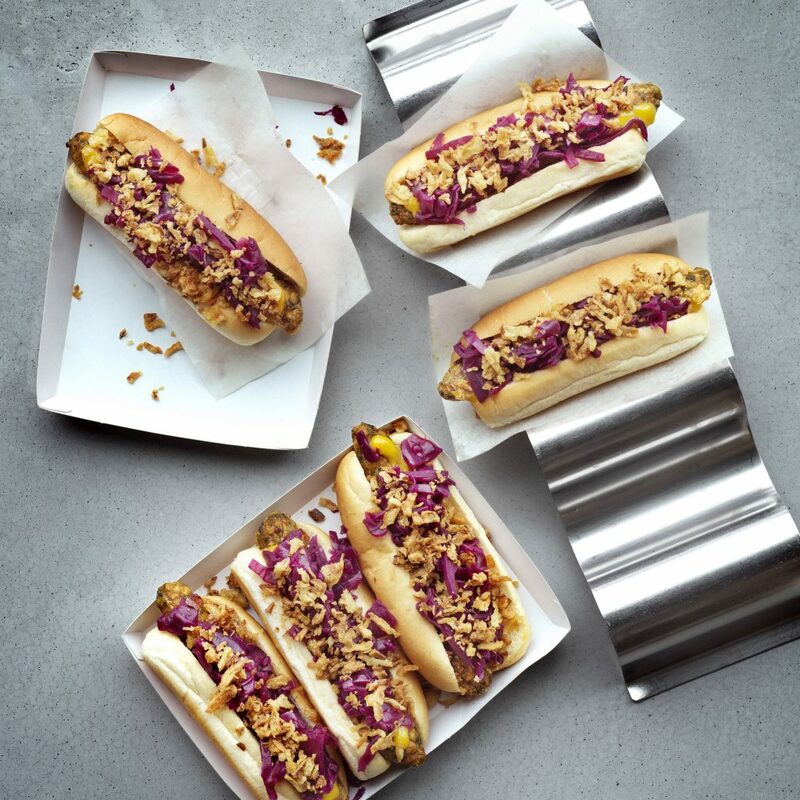 You could already buy a vegan hotdog at the IKEA restaurants, but as of this month you can also buy the plant-based hotdogs at the Swedish Food Market. The food market is the super market after the check-outs of the IKEA where you can buy Swedish food products to take home with you. You can now also buy these vegan hotdogs so you can prepare them at home. The vegan hotdogs from IKEA are made from red lentils, carrot, ginger and kale. 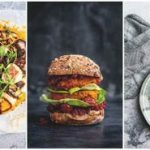 Bonduelle introduced 3 new vegan products to make it easier to cook plant-based. You can use the Pepites in many ways; add them to a salad, risotto, springrolls… you name it. You can use them cold and warm and they’re also gluten free. There are three different kinds: chickpeas-corn, red lentils-carrot and split peas-courgette. 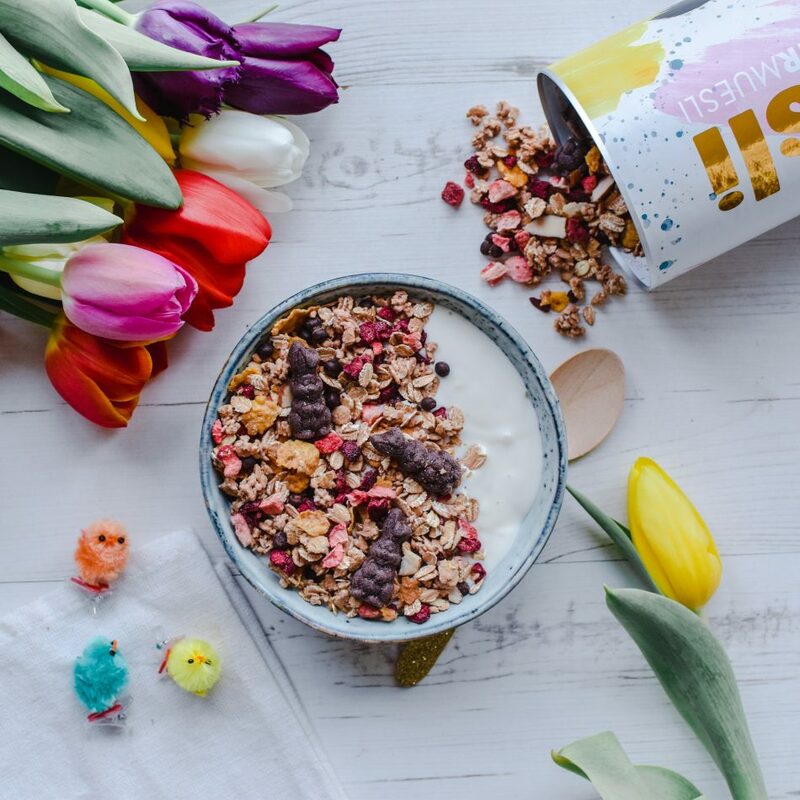 As you might have seen at the top of this page MyMuesli has created a special Easter Muesli. The Easter Muesli has Easter Bunny chocolates made from vegan chocolate! 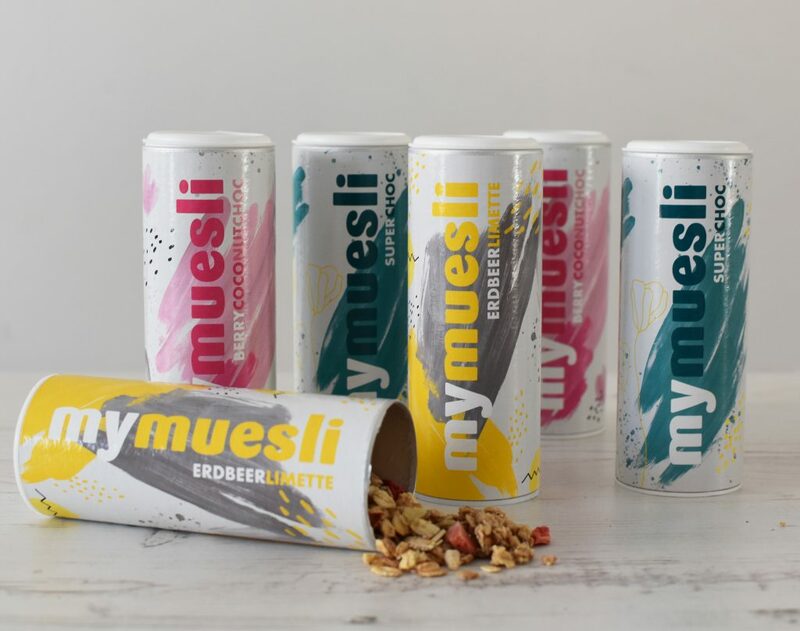 Because I love the mueslis from MyMuesli so much I’ve partnered up with them to give you a MyMuesli 2Go Try Out Package for free! Click here to get your free try out package with your next order. Delicious is one of my favorite food magazines, especially because all the food photography is so beautiful. 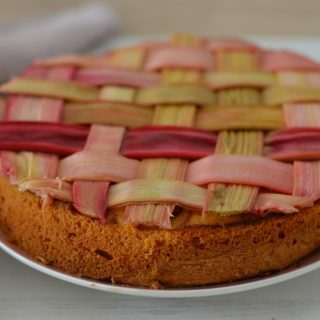 This month they have many recipes for spring and Easter in the magazine. And they also present the ‘menu of the future’ based on the EAT Lancet rapport on ‘Food, Planet, Health’. The rapport shows us what we should eat if we want to feed the growing population. I’m very interested in this, I even became a vegetarian because of the impact the meat industry has on the planet. 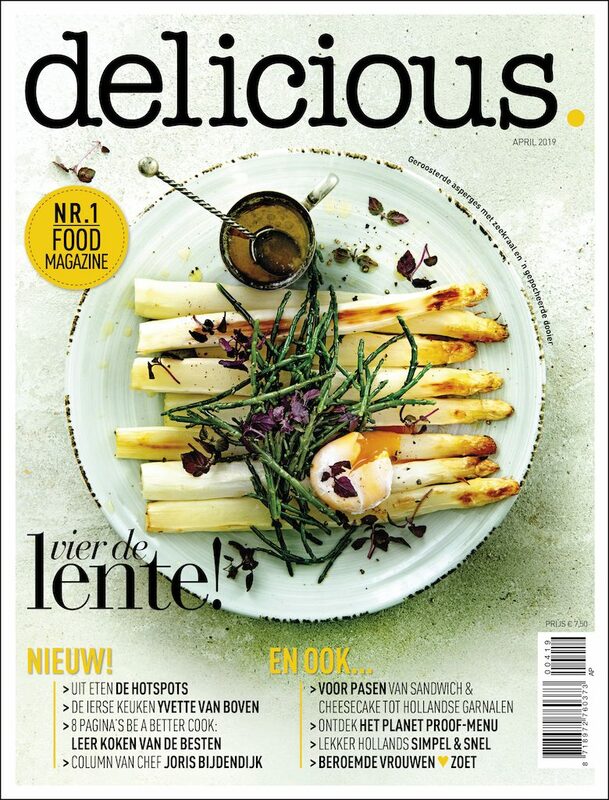 If you’re also interested check out the new Delicious magazine in the Netherlands. 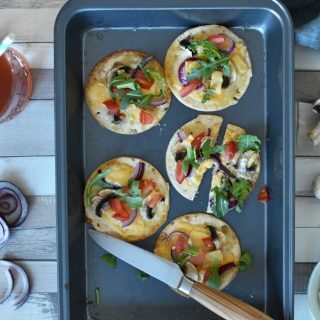 Homemade has launched a ‘Shake & Bake’ line with 4 new products. All you have to do is add water (or milk) to the package and shake the mix to make your dough. They have two pancake mixes; a regular one and a multigrain one. And a cupcake and waffle mix. Very convenient for your Easter brunch! 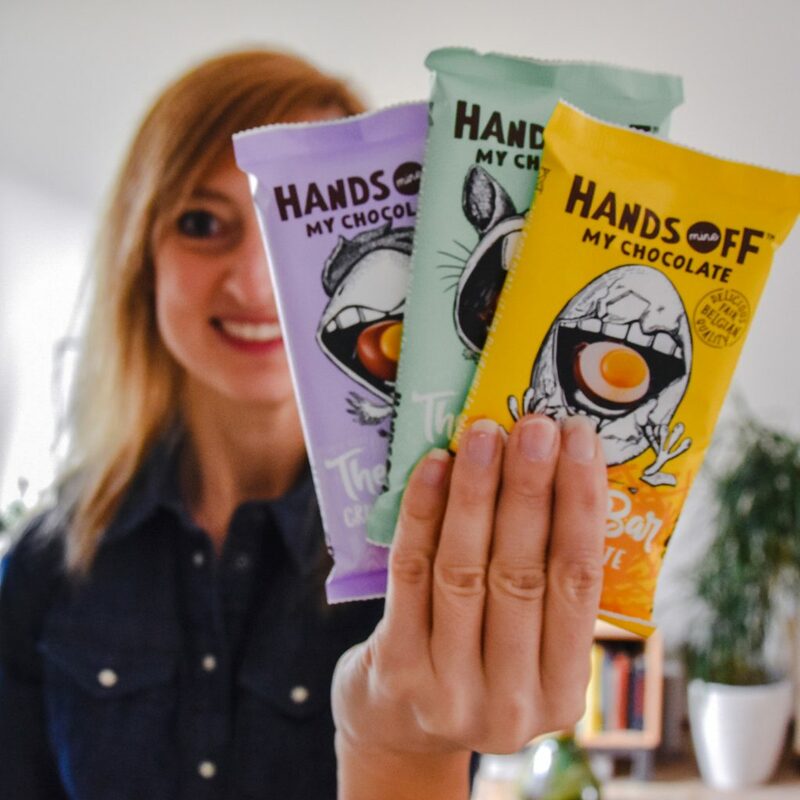 The chocolate brand with the best name in the world ‘Hands off my Chocolate introduced the Egg Bars last year. This Egg Bar consists of 11 chocolate easter eggs. They have 3 different flavors: milk & white chocolate, Crushed Toffee milk chocolate and Carrot Cake dark chocolate. 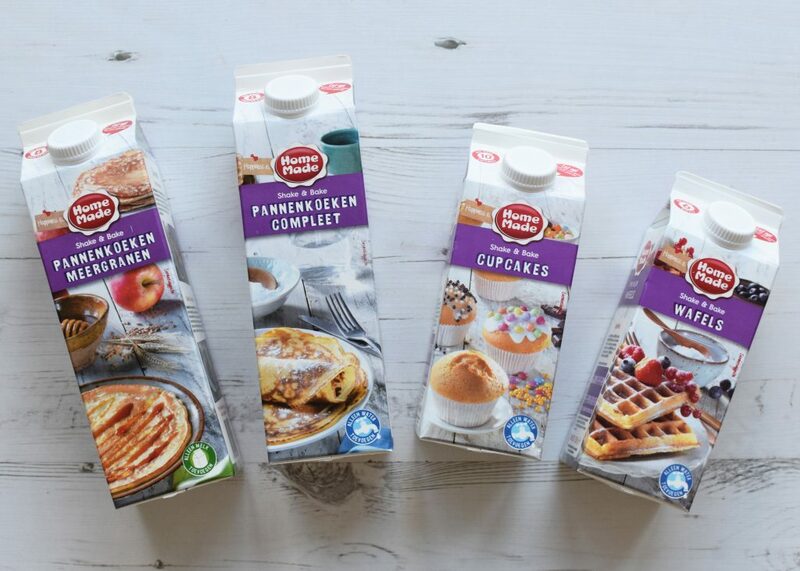 They’re available at Jumbo supermarkets in the Netherlands. And you can win all three bars on my Instagram account.